Talinguru Nyakunytjaku has opened to the public and all tour operators at 12.30 pm today (8th October 2009.) This new $21 million dollar viewing area offers remarkable views of not only Uluru but the 36 head-shaped domes of Kata Tjuta, also known as the Olgas. As a reminder the turn off is sign posted from the new road and the destination has ample self regulated parking for coaches (46 coach parking bays), which is separate from the car parking area. A map of Talinguru Nyakunytjaku is attached for your convenience . New road directional signage is excellent and the traffic congestion previously experienced at the old sunrise site area is a thing of the past. Please also note that the old sunrise area will be decommissioned on the morning of the 9th October and the area will no longer be available for sunrise visits. APT are delighted to advise we are using Talinguru Nyakunytjaku for all our sunrise visits - and customers are already enjoying the magnificence of this site. Watching the colour of Uluru and Kata Tjuta change is spectacular. At sunrise, the giant monoliths emerge from the inky landscape, changing from purple through to rusty browns and red in the golden sunlight. Sunsets can be particularly spectacular when the sun sinks through cloud formations. The colour changes result from the effects of the earth's atmosphere on the sun's incoming rays. The ash, dust particles and water vapour present in the earth's atmosphere act as a filter which can remove the bluer light from the incoming rays of the sun, allowing the redder light through at different times of day. Reflections from the rock and clouds in the sky enhance the vivid colours. There are specific parking areas constructed at the best locations to view and photograph the sunrise and sunset at Uluru and Kata Tjuta. Talinguru Nyakunytjaku offers visitors stunning new views of both Uluru and Kata Tjuta from a previously inaccessible area of the park. The area allows visitors to see Uluru and Kata Tjuta in the wider desert landscape of spinifex covered dunes and swales, dotted with kurkura or desert oaks. When you visit Uluru-Kata Tjuta National Park, you should ensure that you explore the Cultural Centre first. You will enjoy exploring the park much more if you understand Anangu culture and this very special cultural and natural environment. Provides a wide selection of souvenir gifts, books, videos and clothing that feature Uluru and the cultural heritage of its traditional owners. Ininti Cafe has a comfortable air conditioned area for visitors to sit down and enjoy light refreshments whilst enjoying a magnificent view of Uluru. Viewing areas Depending on where you are, whether it is sunset or sunrise and what you are looking at, there are many ways you can capture the beauty of this place to remember your visit. Many people eagerly watch the colour changes on the red rocks with the sun behind them. Equally as stunning are the rocks as silhouettes, especially if there are some clouds around – this option could also a good one if you want to escape the crowds. A suggestion for when it rains is to head directly to the base of Uluru and watch the waterfalls. Ask at the entry station or Cultural Centre information for sunrise and sunset times. Remember to stay on marked tracks or behind the fences at all times. This is one of the most popular views of Uluru, especially at sunset to watch the colour changes. For a silhouette shot visit this area at sunrise. For those travelling in cars, strictly no coaches. 2 Bus Sunset and Dune Walk Viewing – views of Uluru and Kata Tjuta Dune Walk lookout 500 metres return from carpark • 30 mins This area is accessible all day until 4pm, when it is set aside for the use of buses and coaches. From this area you can see both Uluru and Kata Tjuta. See the distinct vegetation of dune habitats and tracks of birds and nocturnal animals. Cars are not permitted in this area after 4pm: it is for buses and coaches only, this is a safety precaution. 3 Talinguru Nyakunytjaku – views of Uluru and Kata Tjuta This destination captures both Uluru and Kata Tjuta in the same shot and offers a stunning 360 degree view of the surrounding World Heritage landscape. With no photography restrictions and the choice of three wiljtas (shelters), two viewing platforms and a few kilometres of walking track, you will be sure to find a spot that suits your needs. 4 Kata Tjuta Dune Viewing area – views of Uluru and Kata Tjuta This provides a spectacular panoramic view of Kata Tjuta with Uluru far away on the right. Sun on the rocks at sunrise, silhouette at sunset. 5 Kata Tjuta Sunset Viewing – views of Kata Tjuta Take a photo at sunset to see the stunning colour change into the deepest red. Visitors are reminded that they will need to be outside the Park boundary one hour after sunset (the Park boundary is 45 minutes drive from Kata Tjuta). Find a self drive 4wd hire, camper, motorhome or camper rental from Alice Springs to Uluru and return or oneway to Darwin via Kakadu and Litchfield. • See our specials at Australia 4wd Rentals or email and ask us. Minimum rental is 5 days. Ask us how to reserve a vehicle for only AUD $100 up to 9 months from travel. 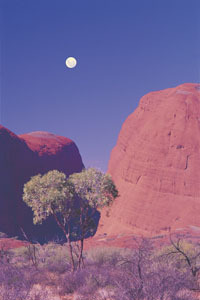 Photographs Courtesy Of: NTTC - Northern Territory Tourism Commission. Maps Courtesy Of: NTTC - Northern Territory Tourism Commission. Information courtesy of Parks and Wildlife Service NT for the promotion of tourism for the Larapinta Trail. As one of Australia's largest licensed Travel Agents Goholi is dedicated to campervan and motorhome hire and rentals. We will source the different options for you. We will look at all the extras and find the best vehicle package for you or even a multiple option for you to choose from. With our head Office in the heartland of the Top End of Darwin we can advise you of the current situations of Uluru Kata Tjuta National Park - Ayers Rock, Watarrka National Park, West MacDonnell Ranges, East MacDonnell Ranges, Kakadu National Park, Uluru (Ayers Rock), Gibb River Road Western Australia and the - Erldunda - Kulgera - Oodnadatta Track - Coober Pedy (Opal field) - Woomera - Port Augusta areas. Search, find and about West MacDonnell National Park and East MacDonnell National Park the MacDonnell Ranges in Central Australia a resource travel guide.